The primary cause of homelessness or incarceration is a complete loss of family and emotional support. Providing community and dignity is the starting point for everything we do at Impact! Ministries. 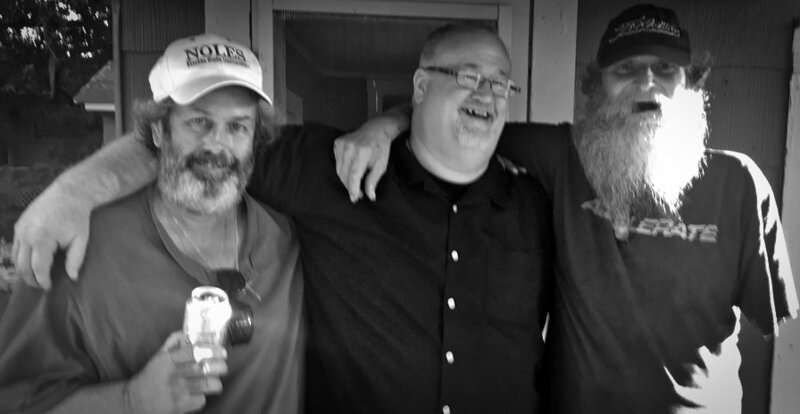 Whether it is a homeless veteran living in the woods, an impoverished family that has been evicted or someone struggling with addiction that has passed out in the street or a female inmate about to be released, our staff and volunteers love folks right where they are in life. We work hard to develop an ongoing relationship in order to walk with folks through their struggles, help them find faith in Jesus Christ and provide a support system that can eventually help them overcome their obstacles in life and become totally self-sufficient. When we go into the homeless camps to give out food or blankets it is so that we can connect one on one with folks, show them dignity and help them become a part of a community that will love them through their struggles. It's all about building the relationship!" With the goal of making an impact one heart at a time, Impact! 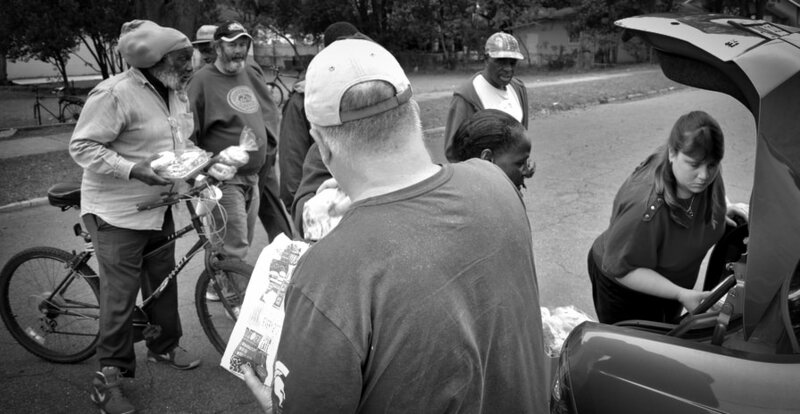 Ministries’ staff and volunteers hit the streets and woods multiple days each week - 52 weeks a year - to provide food, blankets, shoes, hygiene products and other life-sustaining items to our homeless friends all over Polk County. Helping to provide for immediate needs like permanent housing, medical support, transportation and assistance with relief programs is a fundamental step for helping folks take their next steps toward spiritual, emotional and physical healing. By working with other area relief agencies or rehab centers, Impact! Ministries has helped over 100 individuals overcome addiction, mental health challenges, extreme poverty and chronic homelessness to become completely self-sufficient. "I believe that revival is coming to America, but I am convinced that it will begin with the Church behind prison walls all over the nation!" 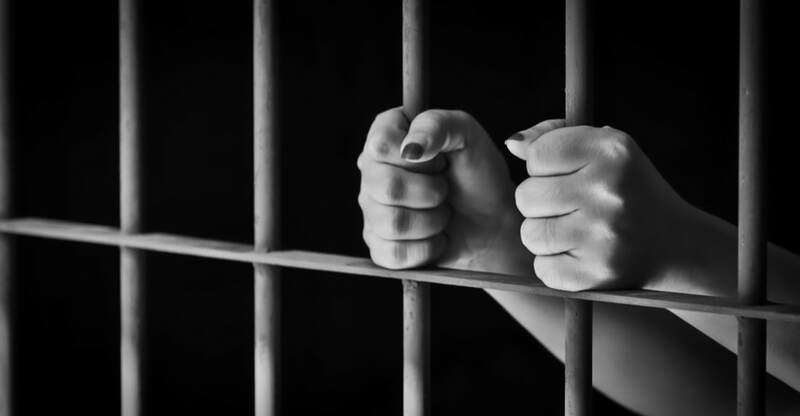 95% of all inmates in America will eventually be released back into society - many of them women with no place to go. They often find themselves homeless, alone and forgotten. Through in-prison Bible studies, life skill classes, job training and re-acclimation workshops, Impact! Ministries helps to prepare female inmates to re-enter the community and overcome the obstacles that landed them in prison in the first place. By coordinating with area churches and the Florida Department of Corrections we provide aftercare and support system for the women until they can become self-sufficient. To date, none of those that have gone through the Impact! Ministries aftercare program has re-offended, committed a crime or have gone back to prison.